I just got back from a visit to Philadelphia and of course I had to eat a Philly cheesesteak there! And not just one, I went to three different places: Jim’s Steaks, Pat’s King of Steaks & Geno’s Steaks. Drum roll please.. I have determined that the winner of my cheesesteak challenge is Pat’s! The first sandwich pictured is a cheesesteak with peppers & provolone from Jim’s Steaks. The peppers were a good addition since they added more tang & spice but the sandwich itself was a bit dry and not that juicy. The second sandwich is the winner: a cheesesteak from Pat’s. This one had cheese wiz.. you should always get it with wiz because it makes a big difference. The meat was chopped up with onions and was juicy. 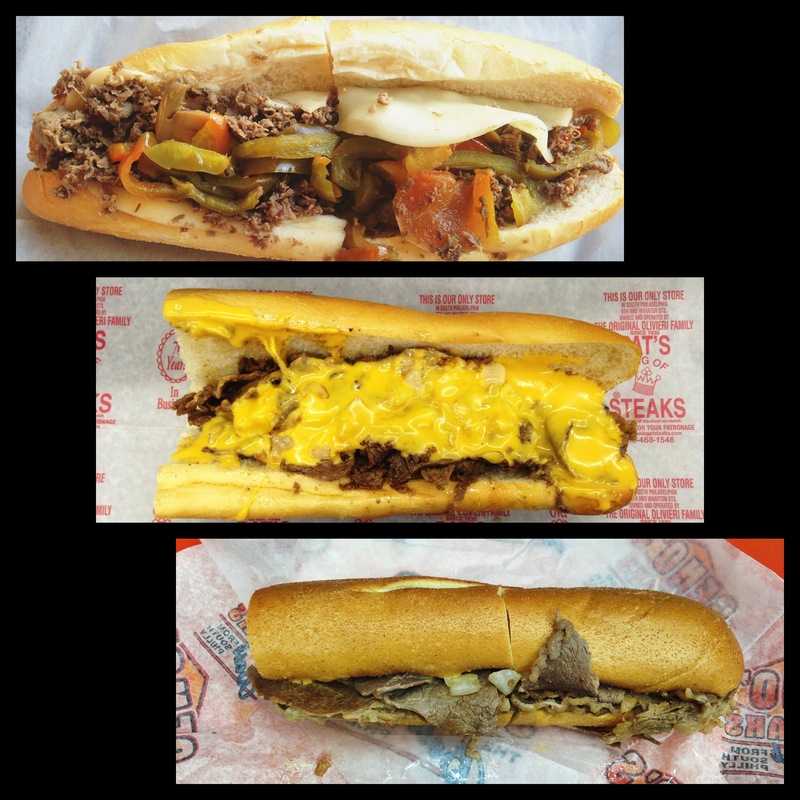 The third sandwich pictured is a cheesesteak from Geno’s. This was my least favorite– it also had wiz but I didn’t like how the meat was not sliced up.